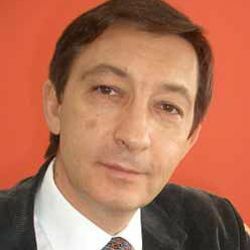 MOSCOW: Russia’s Dmitri Kosyrev is a journalist and has written primarily about Asia for such publications as Pravda, Independent Newspaper, and New Newspaper. He also occasionally writes about wines, food, and cigars. Master Chen, his fiction-writing alter ego, writes historical spy novels set in Asia, often working in elements of jazz, love, and politics. Publishing Perspectives spoke to Kosyrev about life and espionage shortly prior to BookExpo America earlier this year. You studied Chinese history at Moscow State University and have spent a lot of time in the Far East; indeed this eastern experience led to your pseudonym. Can you tell us a little about the birth of Master Chen and how he differs from Dmitri Kosyrev? To put it short, Master Chen was born out of the unbearable success of Dmitri Kosyrev. When you achieve what you wanted, there is a bitter taste of finality in that. At a certain moment of my life I realized that I could not go any higher in my journalist profession, which was (and still is, old habits die hard) analyzing Asian and global developments and writing media columns about it. One more year of doing the same? And then one more year? It was time to become someone else, to start anew with a different name. So I asked myself: what was it that I really wanted to do all this time, what would I do if I had all the time and money in the world? Why, I’d go on traveling and writing, but writing something else – long fairy tales about the things that really happened in all these places and centuries that I know now so well. So I wrote a novel- that was in 2006- and I still cannot stop doing that. As for the name itself, I only spent about 10 seconds choosing the Chen pseudonym (I used it in Hong Kong according to local custom; they dislike complicated foreign names). And as for how he differs from Dmitri Kosyrev, that Master Chen…maybe, Chen is more relaxed, for a while? You have become one of the most prominent thriller/crime writers in Russia today. Is there much of a history of this type of genre writing in Russia? Is there a particularly “Russian” type of crime writing? There always was a lot of classic crime writing, dumb and clever. The “Russian” type is probably when the author is breaking stereotypes and writes a clever, high-class book that, for a couple of chapters, may seem to be just a crime thriller, but is much more than that. Boris Akunin is a very good example of such approach. Boris Akunin once told me that he belonged to the Sherlock Holmes/Agatha Christie school of English detective stories (riddles and mysteries) rather than the French “psychological” school of Georges Simenon. Where do you fit on the genre spectrum? How do you think your experience abroad has affected your fiction,thematically and stylistically? Have you absorbed any Eastern influences on your way of thinking about literature? It looks like I’ve just answered you on the thematic angle, as for style, now — there is a lot of Russian poetry, mostly of the 20th century, to take care of that. The East…many things are there to pick up. Like, for instance, the Japanese idea of not telling your reader everything, the reader kinda feels that there is something here, important, but the writer hides it even after the last page has been turned. It’s a strong potion, that. Adds depth, maybe. You have very diverse interests — foreign policy, the Far East, wine, food, cigars and travel. Does all of this feed into the work of Master Chen? Or do you see your fiction as something separate? Let’s have a look at what they do, these people I write about. They live in the East, they travel, they try to shape the foreign policy of their nations in the centuries they live in, and they also enjoy, when they can, good food, wines and cigars. “Master Chen says he writes about the mistakes, failures, and difficult situations of nonprofessional spies.” Why this attraction to failure? I never trusted people with the reputation of constant winners, never trusted books where the good guy always wins. Even the great James Bond – in books, not in the stupid movies – is a grim personality, constantly thinking about death and failure. My heroes, like him, balance that pessimism with a bit of a sense of humor, and a lot of taste for the good things in life.